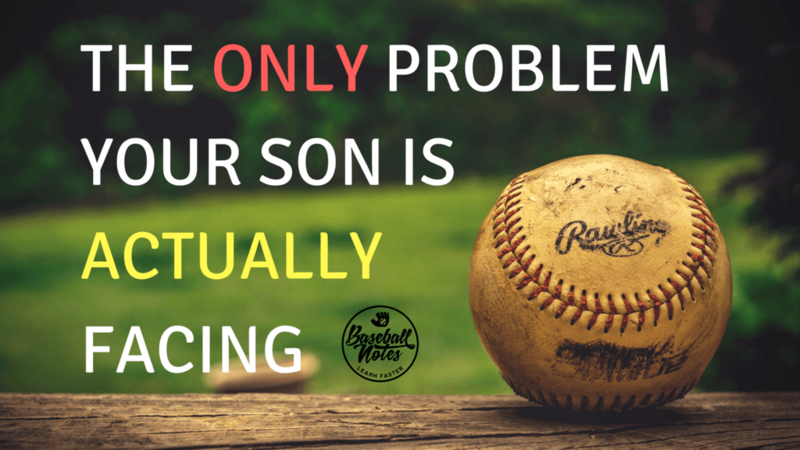 Your son (or daughter) is struggling with A LOT of problems right now I bet. Not hitting with enough power. But really…these ARE NOT PROBLEMS. …is the thought that he shouldn’t have any. Everything that you are going through that *feels* negative is actually spurring you to grow. I need you to read this whole quote from Denis Waitley’s book The Psychology of Winning. So you’re gonna read the whole thing for me? Woooo….did that strike you like it did me? This is an absolute fact of life. This game is not happening TO you, it’s happening FOR you. You see, things that are fine…. ….tend to stay fine (for a while). …who are loaded with flaws that they are not addressing. They aren’t putting in the extra work to improve. …but more importantly, the struggle increases resiliency. I had a teammate of mine in the minor leagues who was Mr. Everything growing up. …in fact he had a scholarship to a big time college program to play baseball and be their quarterback which he passed on to sign a pro contract. Good dude, I really liked him. But he had never faced much adversity in the sport. …and he was just fine with sleeping in and paying the fine. Well, he continued to be Mr Everything. Just a hoss of a pitcher, mowed through our league. But once he got to Double A, things changed. For the first time in his life, he got rocked. All of that talent and promise and he was out of the game less than two years later. While he seemed to have everything you’d want, he was that coral on the inside of the reef. He didn’t have the good fortune of being challenged on a regular basis. This is a very good thing. The things that are “just fine” aren’t improving. Your player needs a challenge to tackle. They will be SO much better off down the road for going through an uncomfortable experience or two and coming out on the other side. You may not be able to see it now, but it’s true. This is completely necessary and normal. This game is WAY too hard to not have “problems”. Of course your child has the things they need to improve, but so does everyone else. These *INSANELY COMMON* problems are all a byproduct of the player thinking they are riddled with problems and flaws. Change the way you look at the “challenges” that are in front of you right now. They are not happening TO you, they are happening FOR you. I absolutely love reading your articles, watching and listening to your videos. My grandson will be 8 in August and he eats, sleeps and breathes baseball!! He’s been playing since he was 4. And yes, I am very, very biased!! But, he’s that kid that walks out on the field and just looks like a ball player, you can see it. You know what I mean? But, my point is I read and watch just about everything you put out there and find a way to incorporate it not only into his game, but his life too!! Thank you for what you do for these young atheletes and keep’em coming!! !